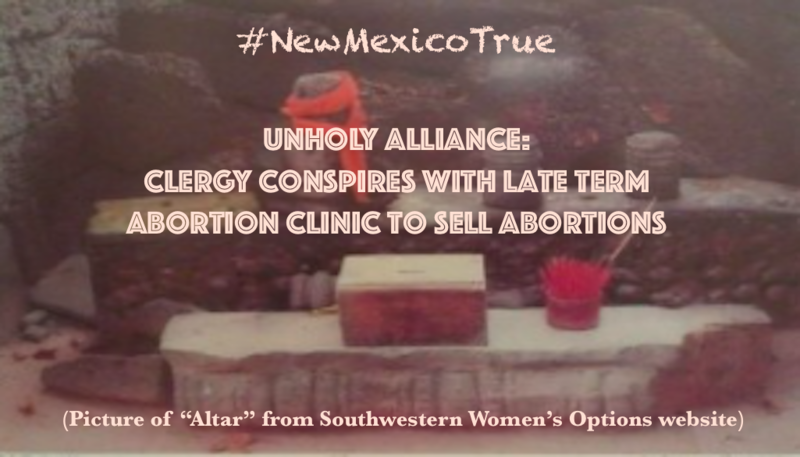 Albuquerque, NM- A new undercover recording released by Abortion Free New Mexico and Priests for Life exposes an unholy alliance between Southwestern Women’s Options late term abortion mill and local clergy. The New Mexico Religious Coalition for Reproductive Choice is the organization that is responsible for facilitating contact between clergy and abortion patients. In this latest recording, an undercover caller states that she is 29 weeks pregnant with a baby that has a fetal anomaly. She exhibits being a little apprehensive about the late term abortion due to her Catholic faith, but is reassured by clinic staff, “believe it or not“ there is a priest that will come to the clinic before, after and even during her procedure. 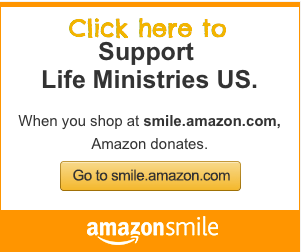 The New Mexico Religious Coalition for Reproductive Choice is deceptively using religion to justify and promote abortion (the act of killing another human being) and recently they have published a list of over 70 local clergy that are being used to ease the consciences of women seeking late term abortions. This list includes well known liberal denominations like Unitarian Universalists and also pseudo-Catholic parishes that are not recognized by the Archdiocese of Santa Fe. Early on when Boyd betrayed true medicine and started providing abortions he knew then that having clergy behind him was important. He still sees the value in this today and is greatly benefiting from his collaboration with the New Mexico Religious Coalition for Reproductive Choice. Boyd has conspired with the New Mexico Religious Coalition for Reproductive Choice to, “meet whatever religious criteria” these women need to keep them in the clinic and ensure that they follow through with lucrative late term abortions.The abortion clinic staff even admits that, “We don’t know how we’d do [late term abortions] without them.” At 29 weeks of pregnancy SWO charges $11,500 and an additional $1,000 each week after that. Many in this country do not want to believe that abortions are done up to the day of birth, however, in her own words, abortion clinic worker Susan Duda tells the undercover caller that “There are no gestational limits for aborting babies with fetal anomalies,” which means that they will provide an abortion through all nine months of pregnancy. Having children is a lifetime commitment but it’s better than living with a lifetime of regret or worse. Operation Rescue reported that a Kansas woman committed suicide last month on the very same day that she had her abortion.